Your beauty inspiration for the week has arrived! 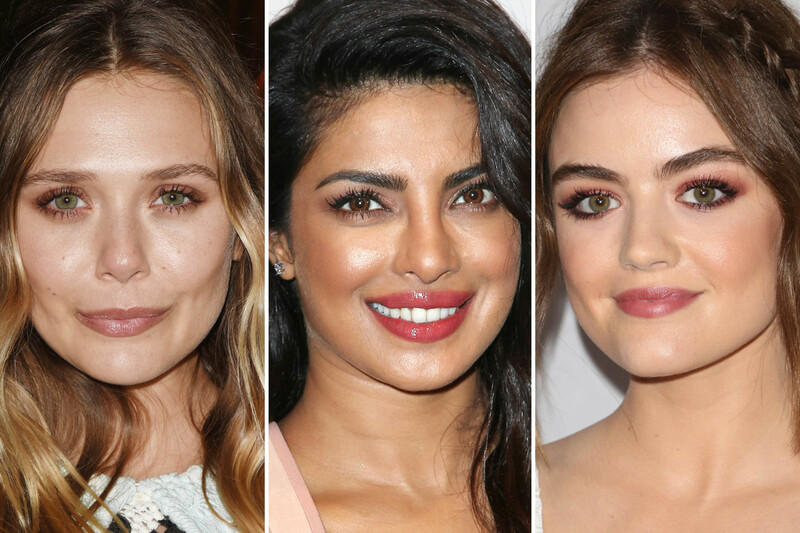 Priyanka Chopra and Elizabeth Olsen brought the summer vibes with two effortless looks that are all about glowing skin. Priyanka Chopra at the 2016 ABC Network Upfronts. Close-up of Priyanka Chopra at the 2016 ABC Network Upfronts. What I love: Priyanka&apos;s easy, breezy, summery beauty. It&apos;s so great to see her loosening up her style lately, compared to more considered looks like this one and this one. Love the reverse-parted hair, glossy lips and most of all, her glowing skin. What I&apos;d change: Nothing. Elizabeth Olsen at the Dior Cruise 2017 show. Close-up of Elizabeth Olsen at the Dior Cruise 2017 show. What I love: Elizabeth&apos;s glowy skin, understated makeup and sun-kissed hair. I swear, the Olsen family has a gene for effortlessness on the red carpet! I think it&apos;s Mark Townsend&apos;s expert hair direction on the waves/highlights that takes this to the next level. Also love how she shaded her eyes—no liner. What I&apos;d change: Nothing. Lucy Hale at Nylon&apos;s 2016 Young Hollywood event. 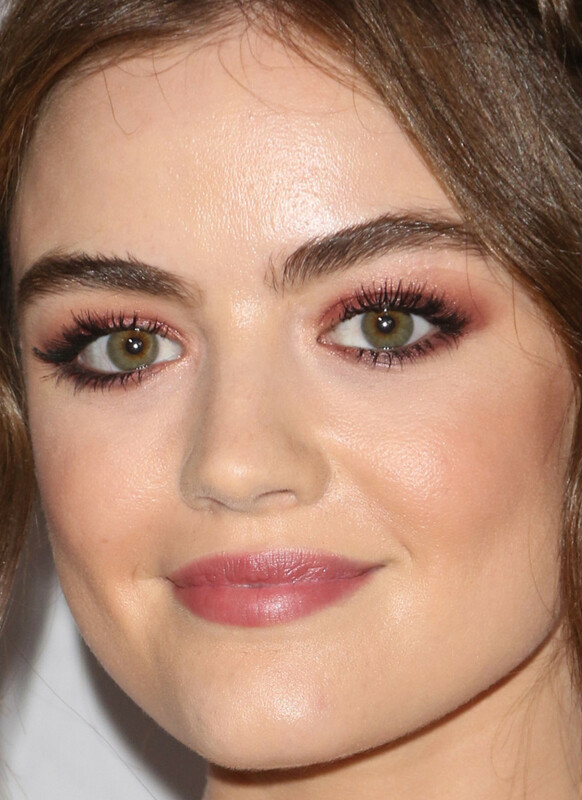 Close-up of Lucy Hale at Nylon&apos;s 2016 Young Hollywood event. What I love: Lucy&apos;s matchy-matchy plum lids and lips. I love when people play with colour like this! 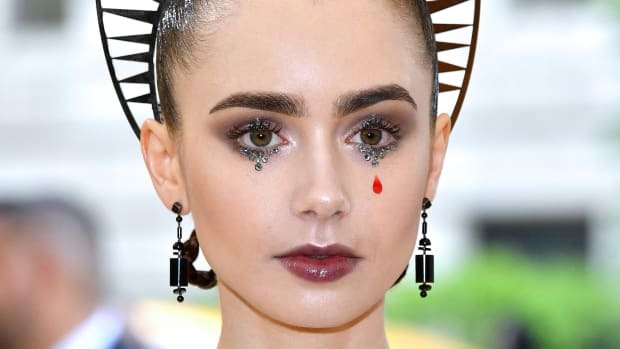 It&apos;s sheer, so she doesn&apos;t look cray; full brows and a loose updo complete the look. (Notice the lil&apos; braid in her hair!) What I&apos;d change: The blush is a problem. While the shade is right, it&apos;s too intense and too low on her face. Krysten Ritter at Netflix&apos;s 2016 Rebels and Rule Breakers luncheon. 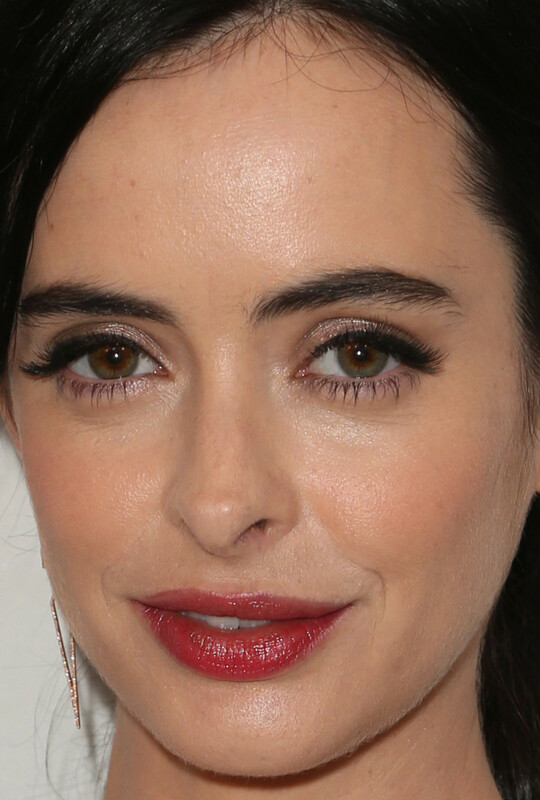 Close-up of Krysten Ritter at Netflix&apos;s 2016 Rebels and Rule Breakers luncheon. What I love: Krysten&apos;s natural skin texture and soft cherry lip gloss. 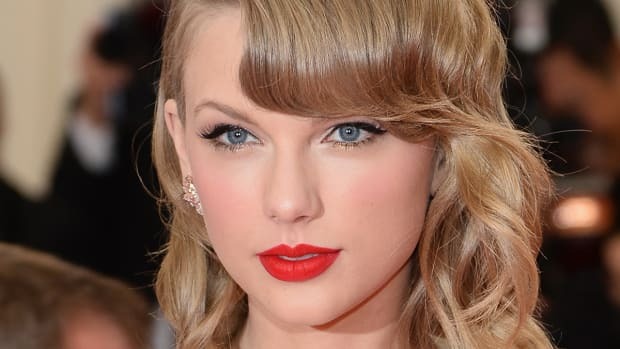 Aside from the lashes, this look is very "real girl beauty"—it&apos;s simple and pretty, not cakey and overdone. I also like her untweezed brows. What I&apos;d change: The lashes don&apos;t offend me, because she has those big Bambi eyes. But they&apos;re still a little heavy. Alicia Rountree at the 2016 WGSN Futures Awards. Close-up of Alicia Rountree at the 2016 WGSN Futures Awards. What I love: Alicia&apos;s ridiculously gorgeous long hair. The length, colour and texture are all jealousy-invoking! 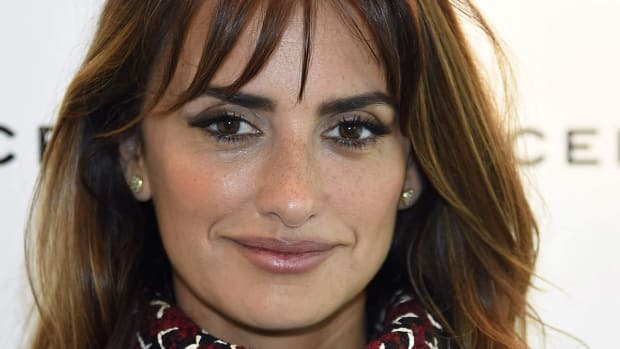 I also like her straight and perfectly matched brows, fresh skin, brick-red lips and natural lashes (with mascara on the upper ones only). Of course, she&apos;s a model. What I&apos;d change: The dry bits on the lipstick. Happens to all of us! Haley Bennett at the Dior Cruise 2017 show. 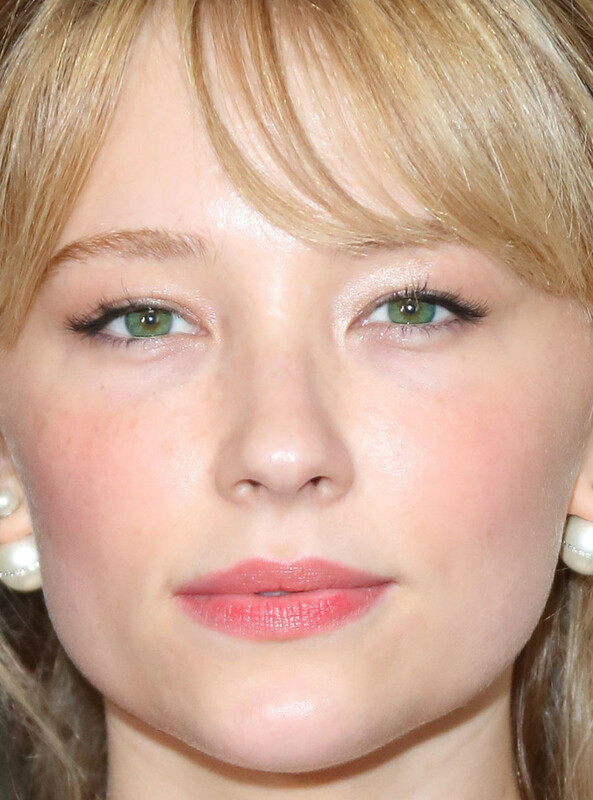 Close-up of Haley Bennett at the Dior Cruise 2017 show. What I love: Haley&apos;s fresh, flushed skin and matching stained lips. Holy gorgeousness! Again, not much happening with the lashes, which I&apos;m grateful for—just some black liner tight to the upper lash lines, and barely-there shimmery shadow. What I&apos;d change: The green contacts look soooo fake. The Acuvue circle lenses, I totally get... but why would anyone want to change their eye colour this dramatically? Anne Hathaway at the 2016 premiere of &apos;Alice Through the Looking Glass&apos;. 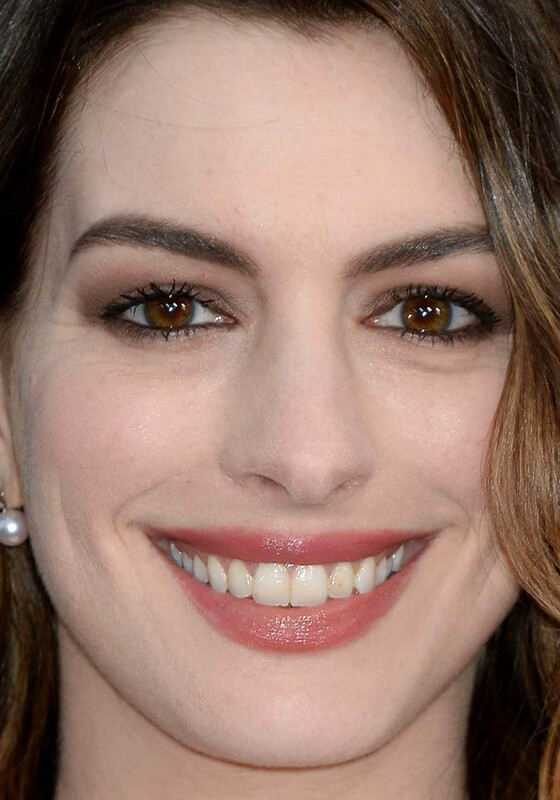 Close-up of Anne Hathaway at the 2016 premiere of &apos;Alice Through the Looking Glass&apos;. What I love: Anne&apos;s thick, wavy and gently Sombré&apos;d hair. It really is one of her best features, so that short hair stage was a dark time. I also appreciate her natural lashes and that she is fully rocking pale skin—no spray tan. What I&apos;d change: I don&apos;t know if that&apos;s food in her teeth or staining, but I&apos;ll say it... I&apos;m a little distracted! I&apos;d also love to see a little more life to the skin... not so matte. Chloë Moretz at the 2016 premiere of &apos;Neighbours 2: Sorority Rising&apos;. 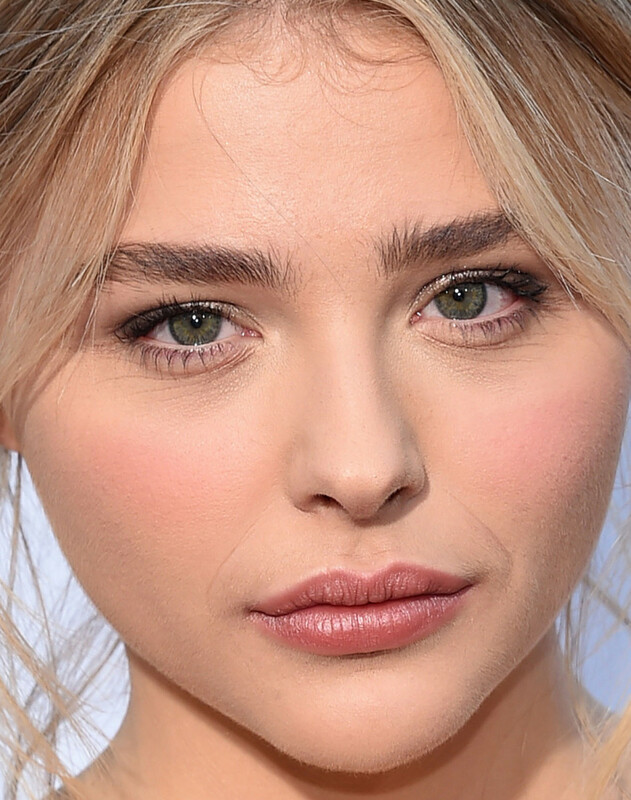 Close-up of Chloë Moretz at the 2016 premiere of &apos;Neighbours 2: Sorority Rising&apos;. What I love: Chloë&apos;s romantic updo and pink lips. She looks so pretty in this colour! I never noticed how plump her lips are—it looks like she pressed on a matte medium pink, and then added a pale pink/champagne on top to catch the light. Top marks for the natural lashes and brows! What I&apos;d change: I wish her skin didn&apos;t look so dry and powdery. Jaime King at the 2016 Bottle and Heels charity event. 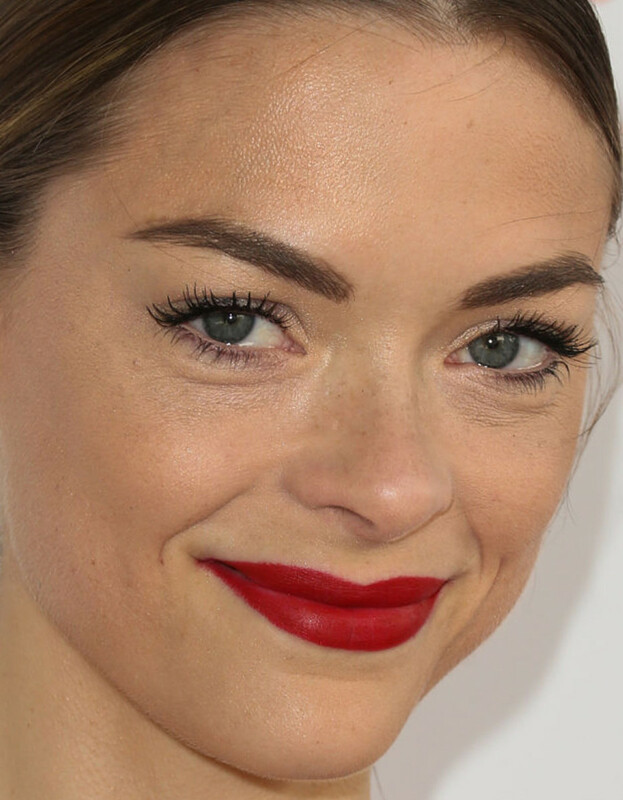 Close-up of Jaime King at the 2016 Bottle and Heels charity event. What I love: Jaime&apos;s statement red mouth with the centre-parted tight updo. Her skin also looks good, with minimal foundation, blush or shadow—it&apos;s really just lips and lashes here. What I&apos;d change: They&apos;re not wrong, but I feel like her brows don&apos;t need to be this dark. Maggie Q at the 2016 ABC Network Upfronts. 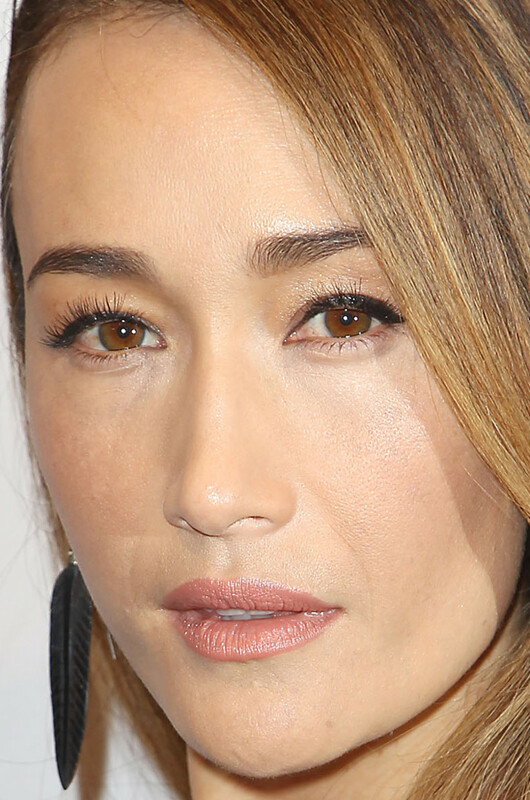 Close-up of Maggie Q at the 2016 ABC Network Upfronts. What I love: Maggie&apos;s new bronde hair colour. (The last time we saw her, it looked like this.) The styling is also great. Who doesn&apos;t look amazing with a smooth blowout and a deep side part? I never noticed her brows before. She has a good pair! What I&apos;d change: While the black liner is nice, I&apos;m not down with these false lashes. And I&apos;d rather see a softened lip colour. Straight out of the tube can look a little heavy these days. Karlie Kloss at her 2016 Swarovksi announcement. Close-up of Karlie Kloss at her 2016 Swarovksi announcement. Flora Coquerel at the 2016 Cannes Global Gift Gala. Close-up of Flora Coquerel at the 2016 Cannes Global Gift Gala. What I love: Flora&apos;s centre-parted straight hair—with a braid down the part! I also love her gleaming skin, matte pink lips, dark waterlines and natural lashes. 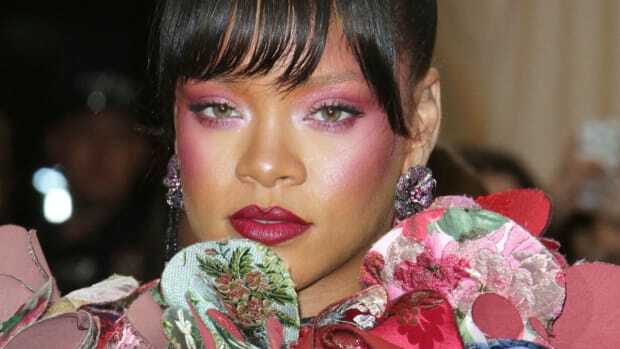 With so much going on, she didn&apos;t need to go this strong on the eyeshadow, but I think it actually works, and makes the makeup even more interesting. What I&apos;d change: Nothing. Barbara Palvin at the 2016 L&apos;Oréal Paris Blue Obsession party. Close-up of Barbara Palvin at the 2016 L&apos;Oréal Paris Blue Obsession party. What I love: Barbara&apos;s blue cat-eye flicks and matte, peachy-pink lips. Both are understated—even the blue is a subtle blue—and sooo beautiful against her flawless skin. It&apos;s always great to contrast a graphic eye against more casual hair and soft (not sharply filled-in) brows. What I&apos;d change: Nothing. Bella Hadid at the 2016 De Grisogono party in Cannes. Close-up of Bella Hadid at the 2016 De Grisogono party in Cannes. What I love: Bella&apos;s black cat eyes. She really stepped out of her comfort zone at Cannes! The tawny blush and shadow make it "Bella"—and also modern instead of too &apos;60s and predictable. It&apos;s also nice to see her hair up, and with some texture. What I&apos;d change: Nothing. Blake Lively at the 2016 Cannes press luncheon for &apos;Cafe Society&apos;. Close-up of Blake Lively at the 2016 Cannes press luncheon for &apos;Cafe Society&apos;. What I love: Blake&apos;s hair (but of course) and her bright but sheer red lips. Her all-American beauty style may not be the most "on trend," but what she does, she does really well! I am also marvelling over her teeth... they are insanely white. What I&apos;d change: Nothing. It&apos;s probably just the harsh Cannes outdoor light making her skin look a little dry. Kate Hudson at The Harmonist&apos;s 2016 Cannes party. 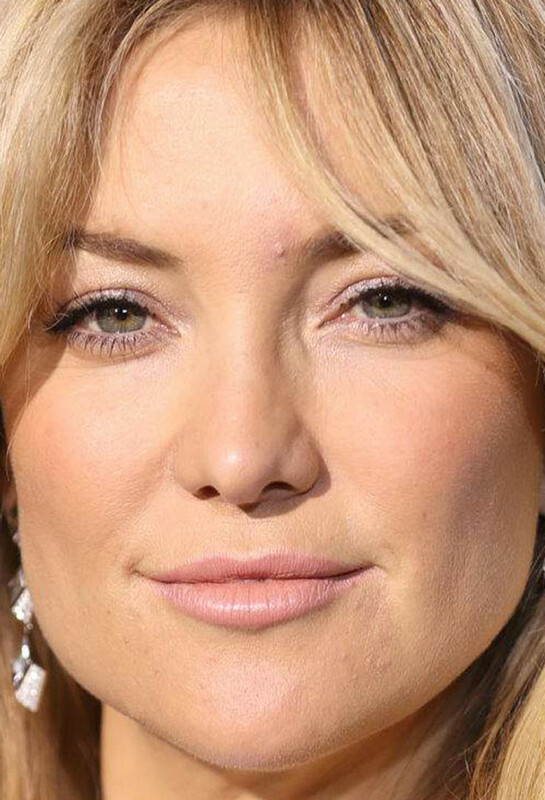 Close-up of Kate Hudson at The Harmonist&apos;s 2016 Cannes party. What I love: Kate&apos;s new bangs and longer hair length. This is her Life Cut—not the slicked-back bob we saw here. Softer makeup shades like this pink lipstick and peach blush are way more flattering on her than bright/dark colours. What I&apos;d change: Her foundation and powder might be creating dry texture on her skin... or it could just be bad lighting.